Surya Nepal Asha Social Entrepreneurship Awards 2013 finalist, Suman Shakya initiated "Smart Paani" along with his four partners two and half years ago.Smart Paani is aimed to harvest rain water system for fulfilling increasing demand of water due to water scarcity. It is an ultimate solution to combat daily water shortage problems through rain water harvesting systems. 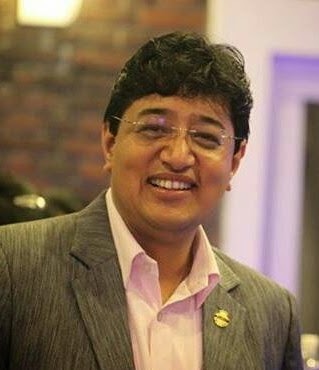 43 years old Suman Shakya was born and raised in a business family. He completed his education from Calcutta, India. In his childhood, he was very shy and quiet kind of child. According to him, the education and lifestyle of Calcutta transformed him. After his education, he came back to Nepal and worked in media for few years before starting any new ventures as an entrepreneur. He was as General Manager at Channel Nepal and also worked in Himal Media. At a very young age of 30, his first venture as an entrepreneur was Bitarak.com which led to other series of ventures like Rooster Logic, REMO, WriteWeavers, Digitainment, Smart Paani and so on. Like all other families in the capital city of our country, he was facing water scarcity problems since his school days. Each month, he had to buy tanker water twice. One day, he watched talk programs of Tyler McMahon. He found out that rain water can be harvested as a solution to the problem of water shortages in minimum budget. He installed rain water harvesting system at his home first. When he got this solution very effective, he started helping others with the same solution as a social work. With the increasing demand for this solution, he thought this can be a good opportunity for doing business. Suman Shakya along with Tyler McMahon as International Advisor and three technicians Gokul Dangol, Hem Narayan Shrestha, Raju Dangol initiated 'Smart Paani' as the first private company in Nepal to install and maintain environmentally friendly rainwater harvesting systems. He says," It is not a bad thing if we earn money by contributing something to the society." During his research, he found some NGOs and INGOs who had implanted this system before for a mass of people in a village or a community in rural areas. However, there was no any private company reaching out to individuals for this service. Out of 10 people, 5 people knew about rain water harvesting from their grand parents but they were unknown about how to install and how much does it cost. In his journey, the first challenge he faced was the superstitious perception of people towards rain water. He says," People are unknown about the importance of rain water. They doubt if rain water would be pure to drink.People buy water during scarcity no matter how expensive it is but don't want to utilize rain water." He further adds, "People have no respect for water mainly because we always had abundance of water,water resource substitute like wells,ponds,water tanker supply,etc." The second challenge was its cost.Though people want to install rain water harvesting systems, most of them deny to install. People find it costly to afford and install this system. However, they can install this system in cheaper price than smartphones. Smart Paani is a company started under One Planet Solution that provides eco-friendly and economical solutions related to water issues. It provides services like rainwater harvesting, water recycling, water filtration, etc. It benefits both in economical and social aspects. It reduces the cost of water we buy every year and utilizes rain water as an alternate water resource to prevent water shortages. Suman Shakya started his project 'Smart Paani' with the motive to help people. Within a year of its establishment, Smart Paani has installed almost two hundred systems in schools, office buildings, housing communities and private homes in Kathmandu and will install in 11 more places outside the valley this year. 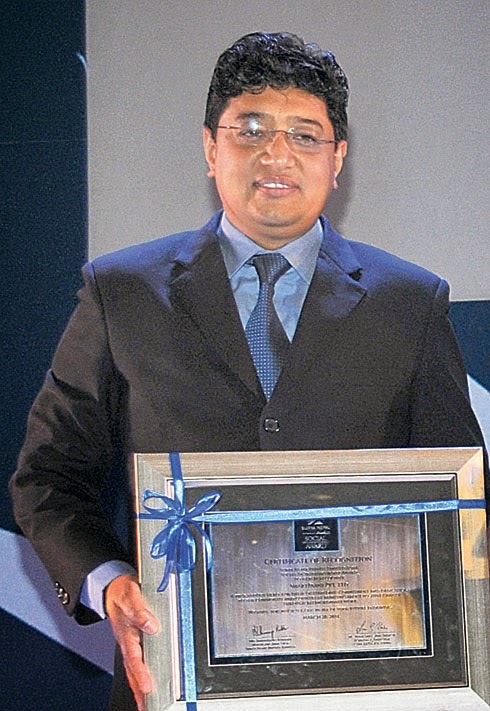 He won Surya Nepal Asha Social Entrepreneurship Award 2013 organized by Change Fusion Nepal. Among 119 applicants, he was one of the Top 5 Finalist. After successful result, his next venture is 'Smart Urja'. It is an alternative energy solutions that will produce electricity and bio gas from biomass, livestock waste. Suman Shakya is the one who turned ‘scarcity’ into ‘opportunity’. We often hesitate to implement ideas into action .We try to find solution of the problem only when it reaches a critical stage. In contrast, Suman Shakya says,"Believe in yourself and don't be afraid of failure. Practice and train harder to get good result. If you want change to happen, you be the change." Watch this video to what Suman Shakya has to say about his venture. +Alina Prajapati is a management student doing her bachelors degree. She is a project leader at +View Your Choice- तपाईको सोचाई हाम्रो रोजाई - and also a passionate singer.